Yesterday’s Macro Monday was a bit of a tricky one but those strange stamens were characteristic of the family Commelinaceae, best known for tradescantias, both tender and hardy. 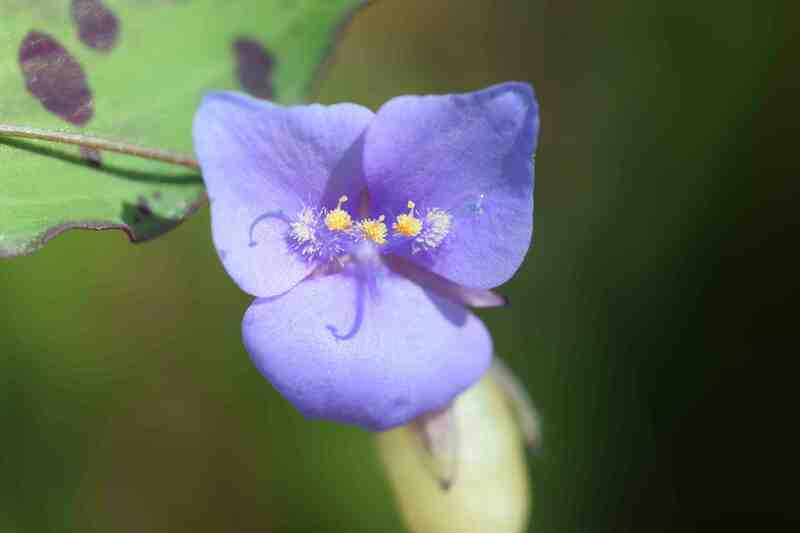 The family also contains Commelina, sometimes grown for its bright blue flowers (and called dayflowers – though they last less than a day – or widow’s tears for some reason) and, in warmer climes, a wide range of useful plants. The flowers always have three, small, equally shaped sepals and three larger petals which can be the same shape but often the two upper ones are much larger. 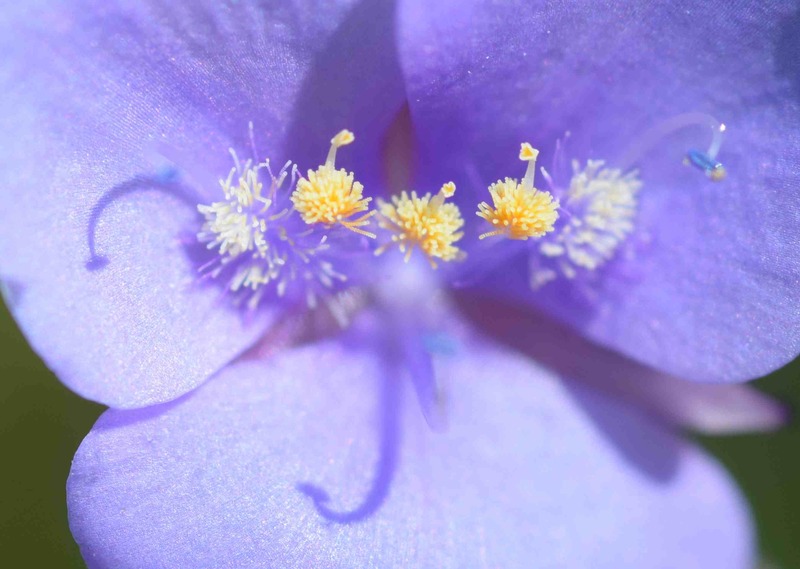 The stamens are usually covered in multicellular hairs, though I am not sure this applies to Commelina – it is certainly the case in tradescantia, and in tinantia it seems that three of the six stamens are hairy. Anyway, this plant is Tinantia pringlei, discovered as lately as 1994 when it was found by Tony Avent on his expedition to Mexico for his Plant Delights (North Carolina) nursery where it was found growing at 1160m (3,800ft) in the Sierra Chiquita Mountains. I guess it then crossed the Atlantic as seed – since it sets seeds quite freely – and I must have bought it more than 10 years ago. I saw it on the stand of a private nursery at the Lamport Hall Flower show where I was working with The Garden Roadshow. I remember that the show, it was it’s first year, was very quiet and most of us working there went round and bought things off the other stall holders to bolster their spirits! I think I spent all my earnings at the show and this was one of the plants I came back with. I was taken with the spotted leaves, the pretty, though small, flowers and the fact that it was a genus I had never even heard of! So I brought it home and popped it in the garden and it proved hardy, though I am never quite 100% sure it will survive winter. And it produced the odd seedling every now and then. Maybe it would seed more if I had a garden with more bare soil. And in the greenhouse, where it is protected from frost, it always manages to produce a new plant here and there in case the parent gets neglected and dies. 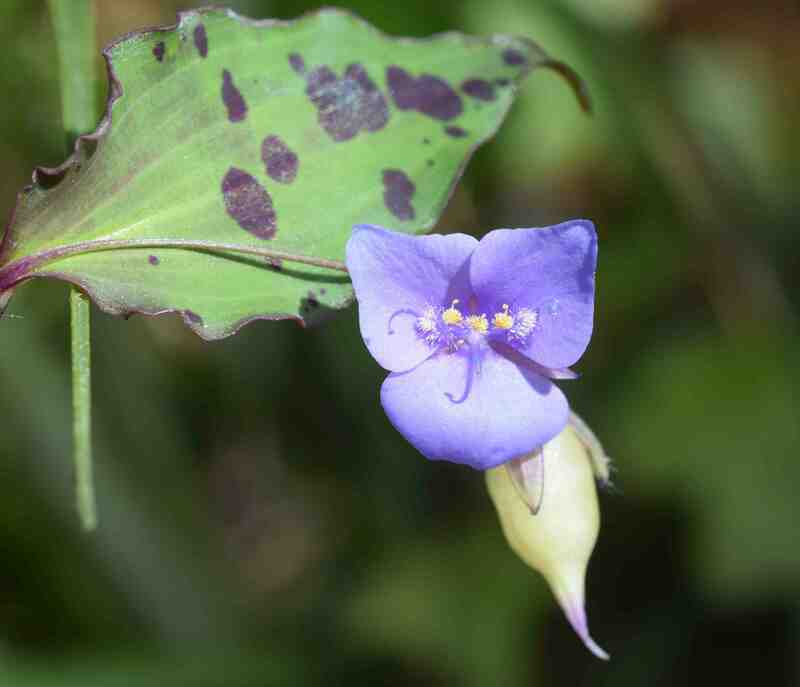 It is basically like a traditional (houseplant type) tradescantia, with alternate leaves on wandering, fleshy stems. 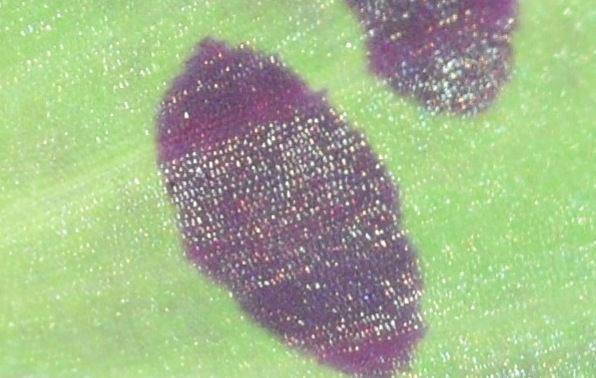 The leaves are covered in purple spots, and the leaves can have a purple flush in good light. It branches freely and makes a lovely, expanding, neat cushion of foliage that is speckled with lilac flowers throughout summer and autumn until cut down by frost. It can reach about 30cm high and could, I imagine, reach 1m across. As well as seed, it is easily propagated by cutttings. I have to say that it is a much better plant, in my opinion, than the Tinantia erecta that I grew last year. Although that had slightly larger flowers the plant was much bigger and, despite growing lots of the things, it did not self seed. Although I would grow it again I would not be upset if I never did whereas I would be really sad to lose T. pringlei. I cannot find out any decent theories as to why the plant has three stamens that look like little Martian flying machines although perhaps making the stamens more showy will attract pollinators. But then why have three other, plain stamens pushed away to the sides? Perhaps we are just not supposed to know. It is not fussy about conditions and is pretty tolerant of drought but it will be lusher and greener in shade with plenty of water and more brightly coloured, compact and produce more flowers in sun and dry soil. From experience I know that it will grow in light soils and clay and even chalky clay. I have never seen any pests or diseases on it either – not even aphids, though I am sure they must attack it. And if it does get a bit straggly by mid summer you could just shear it off a la hardy geraniums. yes Geoff very interesting lovely blue .spare ones in the greenhouse mmmmmmm like it lol . thank you will look forward to that . Lovely delicate plant… I grow Commelina ‘Hopley’s Variegated ‘ nice plant but the variegation isn’t very prominent.